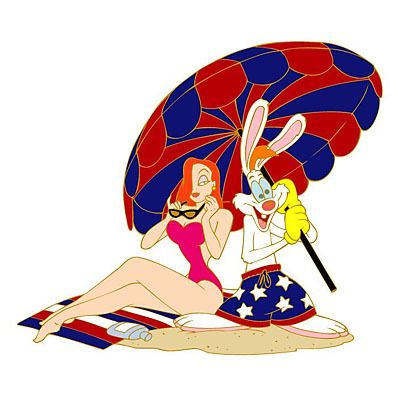 Roger and Jessica Rabbit are out at the beach for fun and sun. 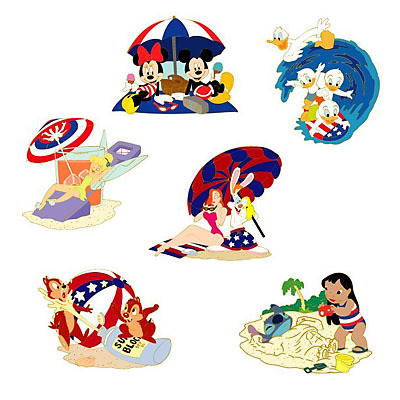 Roger is wearing blue swim trunks with white stars and holding a red and blue umbrella. 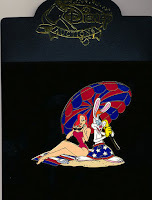 Jessica is in a maroon one-piece bathing suit and putting on sun glasses. 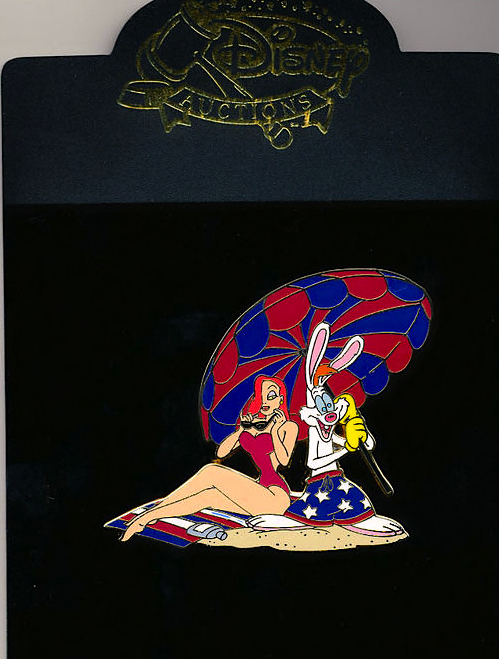 This pin was part of a set with 25 of each pin sold separately and the remaining 75 sold as a set of 6.